New Hampshire authorities responding Sunday to multiple swimmers in distress off Seabrook Beach say that one of them brought to shore has died. 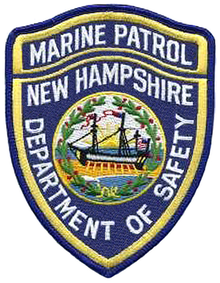 N.H. Marine Patrol identified the drowning victim as a 49-year-old man from Methuen, Mass. He was rushed to Anna Jaques Hospital in Newburyport, where he was pronounced dead. A second swimmer, a 47-year-old woman from Methuen, was taken to Portsmouth Hospital with life-threatening injuries. Their names are being withheld pending notification of family. Police said a good samaritan helped the six swimmers get to shore, as Marine Patrol, Coast Guard, and members of the Seabrook and Hampton fire departments responded to the scene. Choppy ocean conditions appear to have played a factor, according to Marine Patrol.